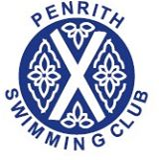 EIGHTEEN members of Penrith Swimming Club competed in the Cumbria Winter Meet, an event held at Copeland swimming pool. Some members of the club were attending their first gala as individual swimmers. The squad consisted of Rebecca Titterington, Jake Fabi, Caitlin Poulson, Maia Johl, Evie Fleming, Emily Guthrie, George Guthrie, Emily Ellwood, Kes Fountain, Solomon Johl, Saskia Todd, Jemma Pears, Charlie Harding, Niamh Brenan, Robyn Walton, Jules Forsyth, Lucy Oliver and Jessica Prokas. The meet took place over two days across all strokes and distances, and was divided into six sessions, with up to six events in each. They took place in heats which were arranged in time order, those swimming the fastest featuring in the last heat irrespective of their age. Medals were awarded for the first, second and third placed swimmers in each age group. Overall the swimmers took part in 31 events and the Penrith team brought home a superb haul of 35 medals. Congratulations were given to all of the swimmers for doing their best during the event and the superb team spirit they showed and the encouragement they gave each other during the meet. Many recorded personal best times.